This post about Caroline Byrd from Soulbyrds, has been a long time coming. I’ll keep it brief, as words can’t express my gratitude for this amazing woman! 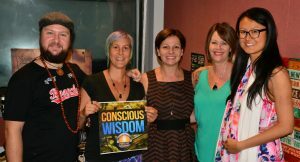 I met Caroline while studying Holistic Counselling with The Awakening Group in 2009. This course was brilliant, as it helped me to continue psychic readings without burning out – read more. It’s hard being an empath until you know how to protect your inner peace. Before learning counselling, I hated opening people up, without knowing how to help them release their pain. Learning Holistic Counselling, gave me the skills and support I needed to deliver the full package. Caroline was one of the assistants at the time. The minute I met her, I was struck by the green fire of her eyes. In Chinese face reading, we say the eyes show the Soul. I knew Caroline was special, right away. “This is the 1st of a series of books documenting my personal journey into the realm of Spirit, Meditation, Spirit Guides, Healing and much more. 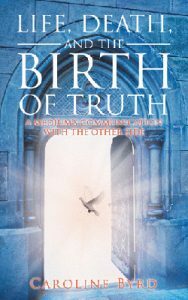 Life, Death, and the Birth of Truth begins with the death of a close family member, sharing in detail how we can understand and connect with those who have crossed over. Learn how and why loved ones who pass may continue to play a role in your life today. Deep insights are uncovered, showing you how a soul has the opportunity, prior to death, to reveal their final moments. Caroline and I began doing readings for each other many years ago. I still see her every couple of months, because she is one of the only people I trust with my secrets. What makes Caroline different is that she’s survived the type of violence, trauma and tragedy that would have sunk anyone else. Instead of letting it define her, she’s worked incredibly hard on herself through meditation and therapy to turn these experiences into medicine for others. Speaking to her, I always feel like she’s unshockable, in a good way! BTW, Caroline will be publishing her story as a book – stay tuned for more details soon. 1) She’s one of the two people* who told me to get help for anorexia (read about my journey). Even though anorexia is the most fatal mental illness – 5 to 20% of those diagnosed will die from it – there is little understanding of the symptoms. I got away with my habits for decades under the guise of ‘healthy eating’ – see my post on Orthorexia. Caroline was one of the only people in my life clever, honest and brave enough to say something when it was clear I was declining. I still remember her loading me up with bags of vegetables she’d grown when I was too poor to buy my own! We’ve definitely been mother-daughter in some of our past lives. *The other helper was Natalie Fitzpatrick, my acupuncturist. P.S. Some blog images are down due to an impending website upgrade. 2) She’s the reason I’m not afraid of ghosts anymore. Like many psychic kids, I grew up terrified of the dark, because I was haunted by faces and voices I did not understand. Even now, I avoid horror movies. About a year ago, I took my first dose of Dragon Slayer (an amazing flower essence by Tribe of the Tree), which helps you to conquer your greatest fears. No surprise, my next reading was for a Master 33 client, ‘haunted’ by spirits. While on the call, the lights started flickering in my house and I got scary goosebumps all over. I thought I was going crazy and had to end things, because there were literally random voices on the line. That reading ended up being a refund. Fortunately, I knew to phone Caroline and she debriefed me. Caroline doesn’t believe in evil energies, just energy – she’s not superstitious, thank God. She often reminds me that we are as powerful as Spirits, if not more powerful – after all, we have bodies and they don’t! As they say, there is no good or bad, except in our thinking. Listen to Caroline talk about ghosts with me and Kris. 3) She’s helped me see mediumship as a blessing. The greatest gift you can give someone is the knowledge they are an Infinite being, with many lives behind, and in front of them. Following on from 2), Caroline has done sessions for me, which have blasted away my scepticism about the afterlife – that’s a big call for an ex-Christian with a Science degree. For example – two months ago, I was desperate to go travelling. I felt I had to see my grandmother’s grave, to ask for guidance regarding my career and relationship. The only problems were, I was a) very pregnant, b) My family don’t like talking about my grandmother due to her manner of death (suicide) and c) as soon as I tried to book tickets, I got hit with all kinds of bills and delays. In frustration, I called Caroline, and she did some mediumship for me. For only the second time in my life (the first was with Amanda Morrison, a mutual friend), my grandmother came in. The advice she gave me was so powerful that I changed my life on the spot. She said, ‘stop working yourself to death – that’s what I did’…’financial gain doesn’t have to come from suffering’. There were other specifics mentioned, that left me convinced that it was her. Interestingly, I was taking the White Light ‘Water’ essence at the time (which releases our most negative karmic patterns), and studying Money Love with Lotus Kruse (to overcome my workaholism). After this call with Caroline, I temporarily stopped blogging, reduced my workload, and threw all my energies into self-healing and my marriage. Exactly what the doctor ordered! 4) She’s helped me stay in relationship with myself and Kris, and to find the courage to have Forrest. As I wrote and spoke in my blog a Poem For My Critics, I’ve been bullied many times, to within an inch of my life. Not only has this resulted in me being hospitalised, I still have a tendency to panic over the small stuff (possibly part of my Master 11 lifepath). For example, at one stage it took me half an hour to cross roads because I couldn’t do it if there were any cars in sight. There’s a saying, ‘if you have one true friend, you have more than your share.” (Thomas Fuller) Well Caroline, is one of my truest friends and she’s talked me through doubt after doubt over the years. She also helped me connect with my babies in Spirit, well before I fell pregnant. This is now something I do with couples as well – it’s a truly beautiful experience. As a result of her quiet confidence in me, I’ve gone from being a scaredy-cat to one of the busiest psychics in Brisbanein one decade. I’ve also gone from heartbroken to married with kids after my massive breakup on 11.11.11. That’s what happens when you meet one of your Soul teachers. 5) Finally, Caroline has shown me that having fun is my birthright, and an essential part of being a Lightworker. There’s nothing more annoying than a ‘spiritual’ person who gets offended all the time, or who can’t take a joke. Puh-lease. In my experience, someone who’s really connected to Upstairs, knows that life is a game with no end – they don’t take things personally and find pleasure in the simple things. 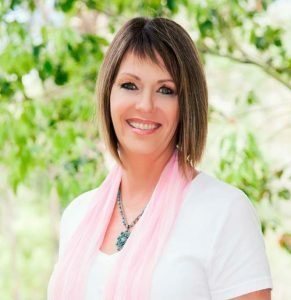 Caroline is not only psychic, she’s cheeky, ambitious, rebellious, nurturing and creative. She does a great job juggling family, husband Richard (the funniest guy I know apart from Kris), and business with ‘having a life’. I feel blessed to have met her at the beginning of my journey, because she’s always been a breath of fresh air in the madcap world of psychic healers. I hope you’ve enjoyed this peek into my life as a psychic and explanation of my mentor Caroline’s awesomeness. This is a surprise post for her birthday in early August. Happy Birthday Caroline! Couldn’t have done it without you! -Share it with your friends. Knowledge is freedom! Please maintain integrity by sending them a link to this article.-Subscribe to my monthly news/ articles (see homepage). Facebook doesn’t always show you all my posts.-Buy my latest Angel Meditation MP3– it’s great for stress relief and for restoring your wings and confidence when life gets you down. I’ve been testing this process for years with clients and myself, and the results are phenomenal.